Cities of Light Barcelona takes place on February 22nd 2019 at the Institut d’Estudis Fotogràfics de Catalunya in Barcelona. Cities of Light is a pan-European, multidisciplinary programme of conversations, symposia and exhibitions about photography, literature and urbanism organised by the Urban Photographers Association (UPA). The Cities of Light in 2018-19 are Paris, London, Lisbon, and Barcelona. 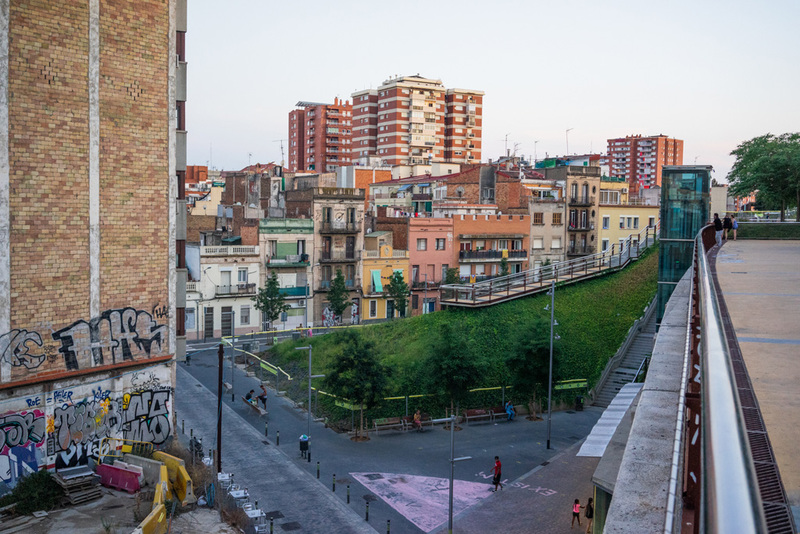 Co-existence: Barcelona is a one-day symposium which brings together photographers, scholars and writers to explore specific aspects of the social fabric of the modern European city, particularly in a context of economic precarity and social fluidity. Like many contemporary European cities, Barcelona presents a dynamic and mobile arena for co-existence between diverse groups. For decades, Barcelona has played a key role in questioning the effects of neoliberalism on the urban social fabric. In this symposium photographers, writers, activists and academics present a wide-ranging programme of talks and reflections which explore the role that photography and urbanism play in establishing and questioning experiences of belonging and identity in the city. The symposium will be delivered in Catalan, Spanish and English, with abstracts of presentations available in each language. Alongside the symposium, Cities of Light Barcelona also includes a series of activities such as exhibitions, walks and workshops (see full programme). All are free of charge. Cities of Light: Barcelona is co-organised by Diego Ferrari, Urban Photographers Association (UPA) / Kingston University, UK and Elisava University, Barcelona; Laura Cuch, Urban Photographers Association (UPA) / Goldsmiths, University of London and University College London; and Jean McNeil, University of East Anglia, UK; in collaboration with Institut d’Estudis Fotogràfics de Catalunya.